Sheet metal technician Don Hitsman shows Christian Chenard how to rivet aluminum. Teenagers Christian Chenard and Sonia Wong are playing and important role in keeping Edmonton's aviation history alive. Chenard, 15, and Wong, 16, have joined the ranks of volunteers in the Alberta Aviation Museum's restoration department. They are following in the footsteps of dozens of craftspeople who have turned piles of twisted wood, metal and fabric into an impressive collection of historic aircraft. "Right now we are working on the restoration of a (Bell) P-39 Airacobra," says Chenard, a Grade 10 student who was caught by the aviation bug about five years ago. "The machines are just so fascinating. The fact that they can just get up in the air and fly and do all these amazing things is remarkable. And the fact that I can work on them and make them look good, I find that very interesting." Wong, who attends Grade 11 and spends her days studying academic subjects, loves the opportunity to work with her hands. "Being able to work with a group of experienced individuals in the museum with all these wonderful broken pieces of aircraft is just amazing. Because there is so much to learn." Teaching them the intricacies of aircraft sheet metal fabrication is Don Hitsman, a 10-year veteran of the museum's restoration crew and a licensed air frame structures technician. Hitsman previously worked on the Museum's B-25 Mitchell and is the go-to expert for all complex sheet metal projects. He takes his teaching role seriously. "With the young people I get reassured that all the work that we put into this place will get passed on. I want this museum to stay around for a long time," he says. "It's our job to bring on the next people so it's important for me to pass the torch." Hitsman is particularly pleased to see several young women like Wong taking an interest. "During World War II, the woman were fixing the airplanes ... so this is really a place women are entitled to be, hence the name "Rosie the Riveter." You can learn more by attending our Volunteer Information Session, February 10 at 11am. Help us spread the word about Edmonton's unique and important role in Canadian aviation. Mike Kutyn and his 418 Squadron crew under the nose of the B-25 Mitchell. Mike Kutyn in 2013 speaking to our Blatchford Tales Oral History project. It is a sad fact of collecting Edmonton's aviation heritage that we are losing many of those who have contributed to that legacy. Such is the case with Michael Kutyn, who died January 3, at the age of 95. Kutyn was a Word War II navigator who was awarded the Distinguished Flying Cross (DFC), then returned to Edmonton where he flew for another 20 years as part of 418 (City of Edmonton) Squadron. Growing up in Wildwood, just west of Edmonton he remembers being enchanted after seeing his first real airplane. "One Sunday as we were having dinner we heard this strange noise," he wrote in Diary of an RCAF Serviceman, a memoir of his years in the military. "It was an airplane flying directly over the house. It looked beautiful against the blue sky. From that moment on, my ambition was to fly airplanes." But after joining the RCAF in 1941 he changed his mind. He got into a spin during a solo flight. That incident scared him so much he decided to become a navigator instead. And what a navigator he was. After training in Britain, he finished at the top of his class with 87 per cent. He was assigned to a special unit flying two Halifax bombers and two Lancaster bombers to India, the first time British bombers would make that trip. In the fall of 1944 Kutyn was lead navigator for a 1000 aircraft raid on the German city of Duisburg. 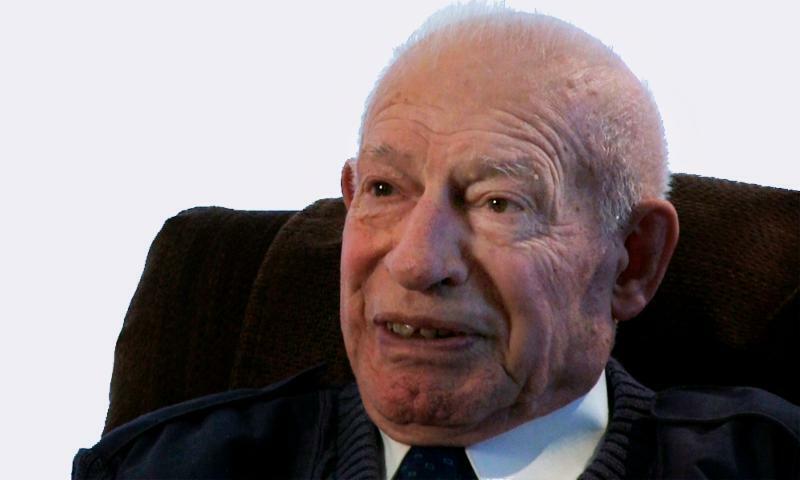 That flight, along with 30 other bombing raids in which he served as navigator, earned him the Distinguished Flying Cross in 1945. At the end of the war, Kutyn returned to Edmonton, where he joined the post office. But he missed flying and in 1949 he joined the ranks of "weekend warriors" flying with 418 City of Edmonton Squadron. Tragically, Kutyn's own brother John, was killed in the crash of a 418 Squadron Mitchell bomber in January 1955. But Kutyn himself says he was never fearful about his own safety while in the air, despite the fact that he was involved in three crashes during the war, and four more post war. "I had faith above I guess. I was never scared. I always felt like my life was in good hands," he told our Blatchford Tales Oral History Project in 2013. "And to have that kind of feeling when you have been in all those airplane crashes. And your still talking to him." Mike Kutyn is not the only loss the museum community has had in the past few months. Lois Argue, the first of the RCAF Women's Division members to be posted to Blatchford Field during World War II, died December 11 at the age of 96. You can read more about Argue and the memorial held at the AAM here. Finally, another old friend of the museum, Zona Lodmell, died December 28, at the age of 86. 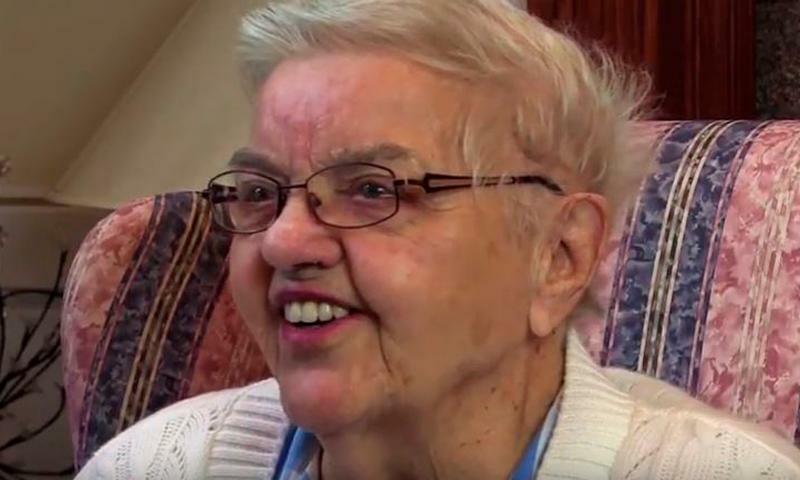 She was a frequent face around the museum, particularly during our Tuesday and Thursday lunches. 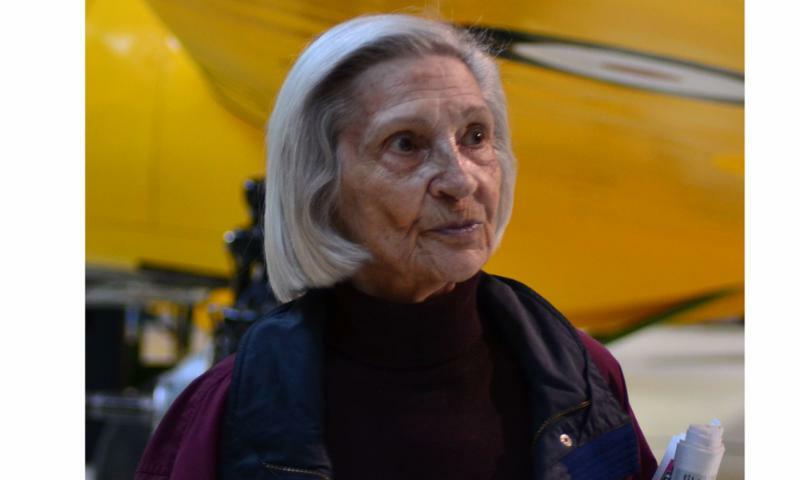 Her husband, Elmer Lodmell, was a long time volunteer who helped with much of the electrical work in the hangar during the early years of the museum. After Elmer's death in 2013, Zona continued coming to the hangar, often bringing with her clippings from the local paper for Curator Lech Lebiedowski. We offer our condolences to the friends and families of Mike Kutyn, Lois Argue and Zona Lodmell. 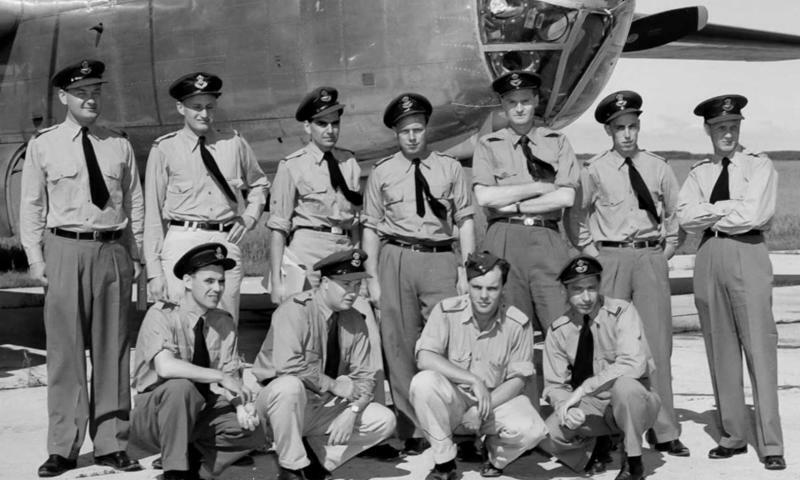 They all the left a legacy that will help keep Edmonton's aviation history live. The Alberta Aviation Museum's biennial casino is our largest fundraiser and it requires a squadron of volunteers. Thanks to those who have already stepped forward to help. But we still have some key jobs we need to fill. Please email Michelle Shirtcliff if you can help, or call her at 780-451-1175 x104. February 10, 11am to 1pm. Volunteer Information Session. 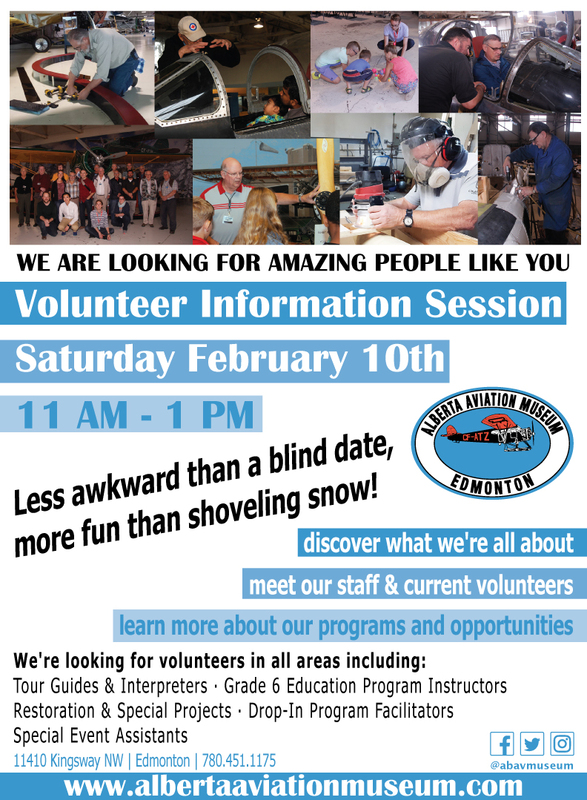 Drop in and see all the ways you can help us better tell Edmonton's amazing aviation history. From Education Program Instructors to Special Event Assistants. There is a job for you as part of our exciting and growing team. More details here. January 25,, 5pm to 8pm. Servus Community Access Night. This free event is your chance bring the whole family to see what the Alberta Aviation Museum has to offer. Thanks to Servus Credit Union for their support for this great program. See more about Servus' community program support here. April 22, 2pm. Annual General Meeting of the Alberta Aviation Museum Association. Election of Board of Directors, update on the museim's operations and finances, ammendments to bylaws. More details here.